Feather, Flap, and Spike are on the hunt for the perfect pumpkin to decorate in this sweet story about autumn fun. Spike thinks all the pumpkins they find are perfect, indeed: for juggling, leaping over, and bowling! 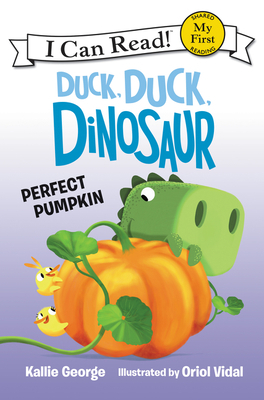 But what will they do when Spike accidentally squishes all the perfect pumpkins that the ducklings find? These silly siblings learn one way a squished pumpkin can still be perfect—for making pumpkin pie!